‘Leadership’ and ‘compassion’ aren’t words we commonly link together. Most leaders are conditioned to put business before benevolence – to lead with their heads, not their hearts. The popular perception of a powerful leader is someone who’s tough, strong, decisive, hard-nosed, ultra-rational and results-driven. The reality is powerful leaders, amongst their other traits, have the conviction, confidence and courage to cultivate connectivity and compassion. Although it’s a quality enacted around us regularly, compassion is too-often seen as a somewhat distant, altruistic ideal – an unrealistic response of the naively sentimental or kind-hearted, associated with being ‘mushy’, taking a too ‘softly-softly’ approach, detracting from a solid outcomes focus or diluting down hard decisions when we should be business-like, stern, stoic – even ruthless. Yet this is changing. Organisations are interested in a more compassionate style – in leading with feelings. This may be human kindness but it also makes practical business sense. People can’t focus and do good work if they’re distracted by strong negative emotions. It’s at the ‘feelings’ level where many performance and productivity problems lie. If you want people to take committed action and put in a superior performance, you have to connect with their feelings first – and connectivity is compassion in action. While we convince ourselves we can’t make space for compassion and connection, that’s exactly what great leaders do make time for. Great leaders care about connecting with the people they lead. They see connectivity as the conduit for almost everything else they do - and compassion is the key. Compassionate leaders inspire people with purpose, hope, optimism and energy because they resonate, empathise and connect. Culture’s also squarely on organisation change agendas today and how leaders lead has a lot to do with it. Driving, directive, coercive styles may move people short term, but the dissonance it ignites breeds toxic emotions like anger, anxiety or apathy and does dramatic long-term damage. Compassion and connectivity are not only telling social and emotional factors in creating vibrant work relationships. Research reveals they’re also key to maintain emotional balance, build up reserves of resilience, insulate yourself from the harmful effects of toxic emotions, relieve leadership stress and re-energise and renew yourself. Let’s face it, there hasn’t been a lot of room for compassionate leadership in workplaces – but this is changing. Over the past 10 years, most organisations have arrived at the recognition that emotions do matter for good work – that leaders need high levels of Emotional Intelligence. This interest in leading with feelings has opened the way forward to taking the next step: cultivating more compassionate leadership. This shift to a more empathetic, caring and emotionally intelligent style provokes questions such as: “What is compassion anyway? What does it take to be a compassionate leader? 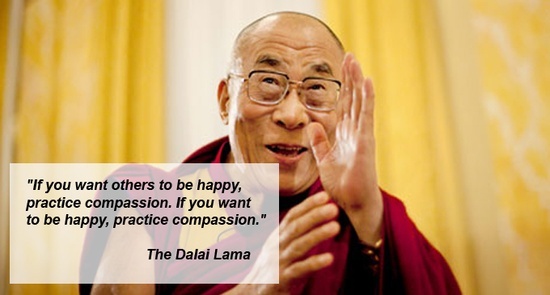 How does compassion fit into a practical leadership context and can you learn to be more compassionate?" Cultivating compassion also contributes to other constructive changes in how leaders lead, relate to others, and handle the unavoidable toxicity and stress of the job. Being compassionate can help leaders emanate less disapproval and show more genuine concern which makes them more approachable; reduced displays of toxic emotions like anger and anxiety, allows for a more emotionally balanced and calm approach; increased empathy and understanding in turn increases the chance that staff will trust and want to connect with their leaders. Increased connectivity has a healing effect on people and an enhancing impact on the positivity of work climates and culture. 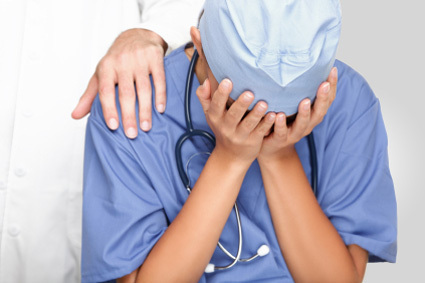 Naturally, staff don’t need much convincing about compassion. A 2000 Gallup poll of two million employees confirms the value of a more compassionate approach to leadership. It found most rate a caring boss higher than how much money they earn! What makes up compassion? To answer this, we can’t just rely on recent western psychology and ignore the venerably ancient Buddhist contribution, which counts compassion amongst its four main pillars. In fact, the West has tended to focus on emotional dysfunction rather than how to cultivate positive emotions, and compassion has been the most neglected. As Lorne Ladner points out in The Lost Art of Compassion, we’ve been taught to work with damaging emotions, but western psychology has not offered "even one clear, practical, well-researched method for people to use to develop compassion." 1. Respect and Caring: Resonant Leadership authors Boyatzis and McKee claim compassion “involves caring, curiosity, respect and real empathy" toward others, which is echoed by The Dalai Lama, who defines it as “a mental attitude, associated with a sense of commitment, responsibility and respect”. 2. Empathy: In Buddhism, compassion is a deep understanding of the emotional state of another (which sounds like the western idea of empathy). It leads us to feel empathy. A slight reversal in western thought, where empathy is seen as what enables us to connect with others, which can lead us to feel compassionate. 3. Selfless and Unconditional: both traditions see these important conditions for compassion – to put others' needs before yours and not ‘favour-trade’, expect something in return or give or withhold compassion depending on whether we see someone as friend or foe. As Boyatzis and McKee say: “Compassion does not assume or expect reciprocity or an equal exchange. Compassion means giving selflessly”. 4. Committed Action: “Compassion is empathy and caring in action – a willingness to act on those feelings” say Boyatzis and McKee. The Dalai Lama resonates: “True compassion is not just an emotional response but a firm commitment characterised by action”. 5. Benefitting Others: In Buddhism, compassionate acts alleviate suffering. In the west, we speak of being benevolent without any thought of gain. Acting compassionately is essential, but there’s one more thing. Compassion’s a mental state we need to find firstly inside us – our intentions for being compassionate must be clear. We can do kind things or compassionate acts with good consequences, for example, but delving deeper, why are we doing this? The core of compassion is heartfelt connection in situations where others are suffering and taking action when possible, to help relieve it. Through how they are and what they do, compassionate leaders create emotionally healthy and positively energised workplaces. They genuinely care for others’ well-being and are attentive to their needs, which they put before their own. They are aware of the impact their feelings have on others. They connect through empathy to keep them in touch and in tune with what other people think and feel. And they use positive emotions to inspire and dissipate toxic emotions that are dissonant and demoralising. Toxic emotions – generated by you or picked up from others, leave a residual in the body that affects us badly, unless we have skills to learn to let them go. They slowly penetrate our defences. Bursts of adrenaline wear down our immune system resulting in physical and mental ill-health. The stress of leading - handling constant crises, hard decisions, always looking out for others, is draining. Reserves of resonance, empathy and connectivity dry up and even once-resonant leaders slip into dissonance. They become burnt out, dispirited, scratchy, abrasive and abrupt. “And, because our emotions are contagious, dissonance spreads quickly to those around us and eventually permeates our organisations,” observe Boyatzis and McKee. As we get busier and more stressed, we begin to lose ‘groundedness’ – we’re thrown off-balance; focus, energy and equilibrium wane. We become distant and lose our sense of connection that’s essential for compassion. We focus even more on us – how tired, behind-the-game and demanded-of we are – which disconnects us more. Prolonged periods of dissonance like this promote toxic emotions and behaviour that easily spread to infect the people you lead. To counter these toxic effects leaders need to cultivate habits of mind and behaviour that dilute or relieve them. To return to resonance, we must renew ourselves through a conscious process of mental and physical practices to inspire, re-energise and counter these stress-effects. Amongst the keys to renewal are practices for cultivating empathy, mindfulness, hope and compassion. Adopting a more compassionate leadership style can strengthen relationships and create a more supportive, less stressful work climate. But it can only happen if we dare to be different – to open ourselves up to new ways of thinking and being in how we go about our leadership and our life.